The Upstarts, a ska band from Salt Lake City, Utah, is getting ready to release their debut album. There is only one problem: there isn't much of a ska scene these days. This hasn't always been the case. In the 90's, Utah experienced an explosion of ska that some argue was comparable to the ska scenes in Los Angeles and Boston. 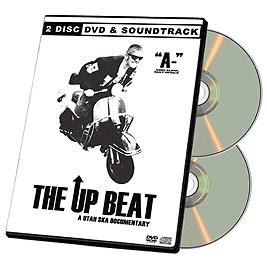 "The UpBeat" traces the history of ska and the influence the genre has had on the Utah music scene. Featuring interviews with Frederick "Toots" Hibbert (Toots and the Maytals), Buster Bloodvessel (Bad Manners), Vic Ruggierro & Dave Hillyard (The Slackers), and Robert "Bucket" Hingley (The Toasters). Also including influential local musicians Swim Herschel Swim, Stetch Armstrong, My Man Friday, Model Citizen, GOGO13 and Insatiable.